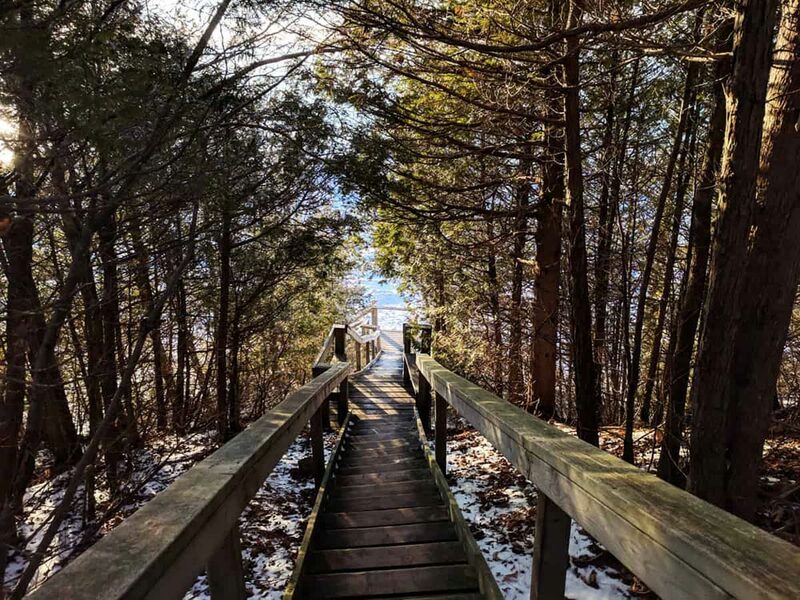 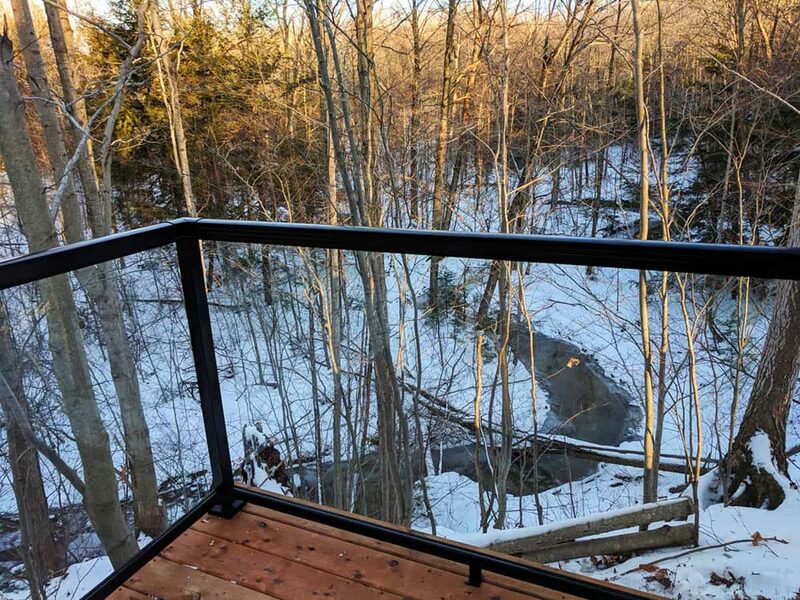 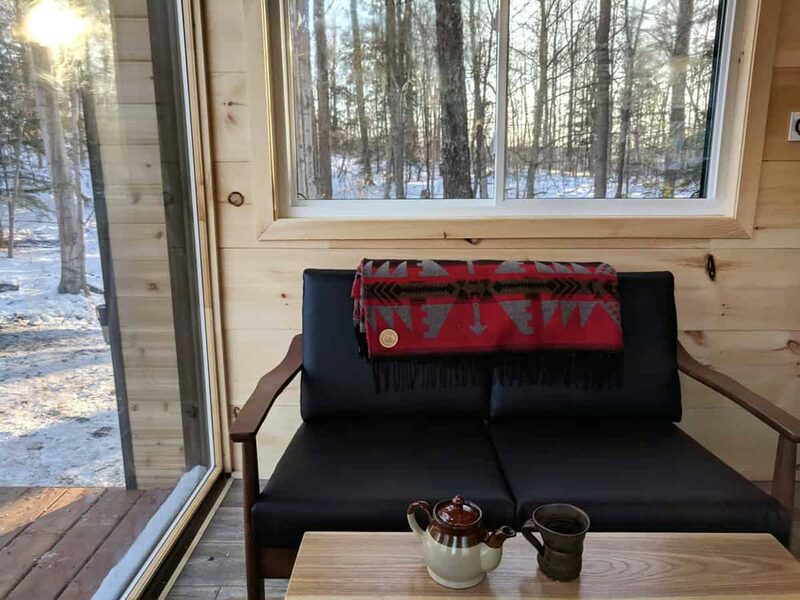 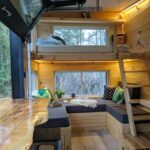 Surrounded by 75 private acres of secluded hardwood forest, the Dashi by Cabinscape offers an off-grid living experience in Southwestern Ontario. 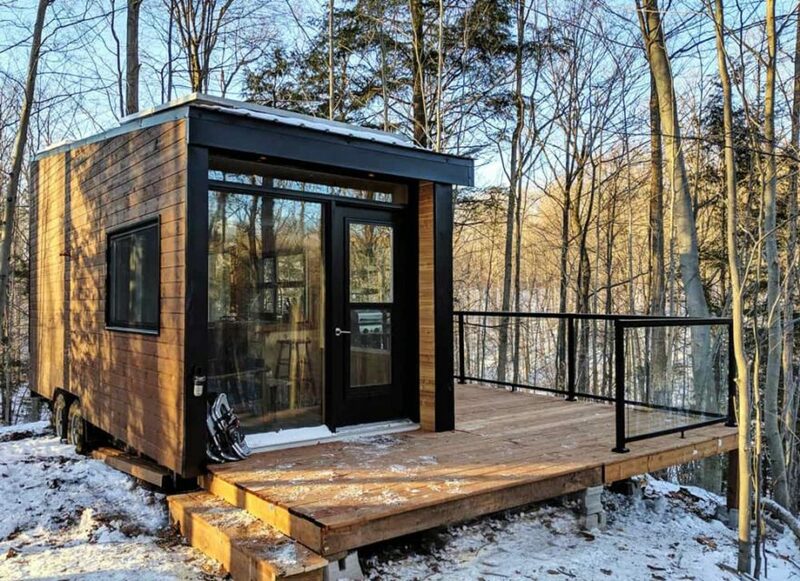 The tiny cabin is available for nightly rental through Cabinscape. 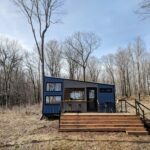 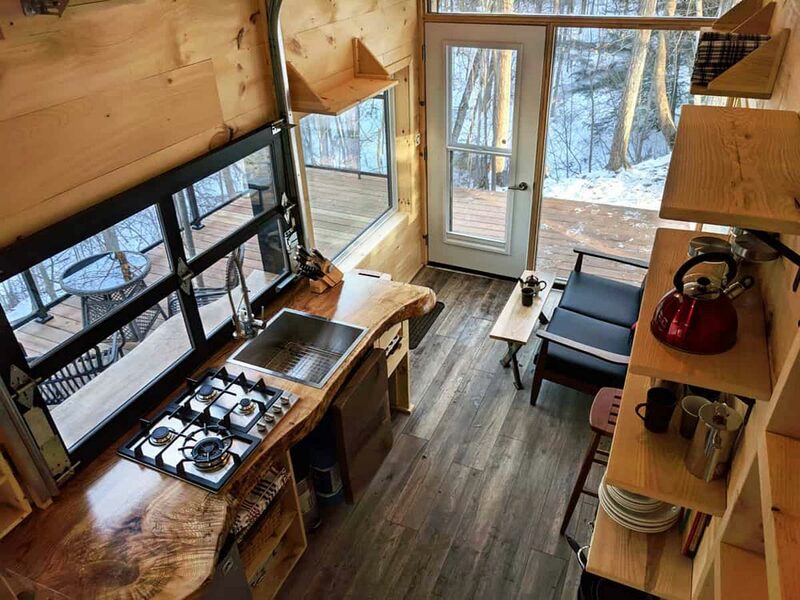 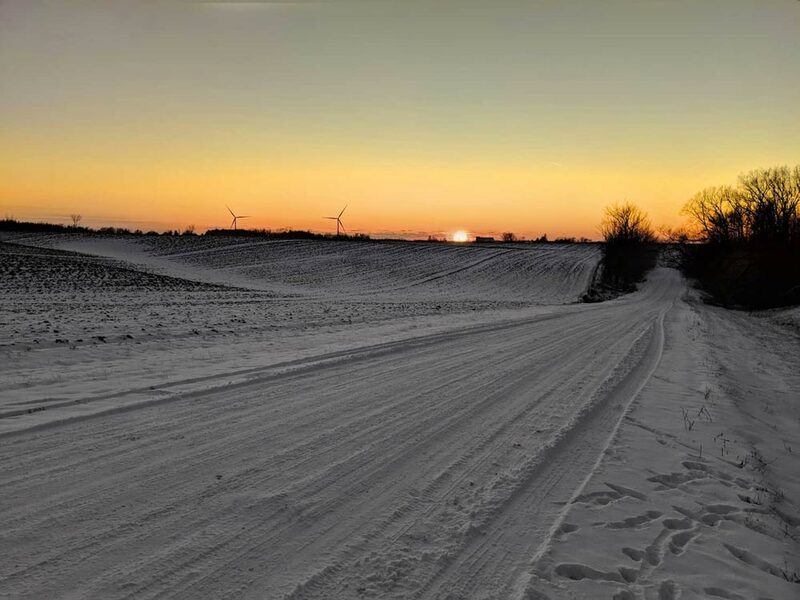 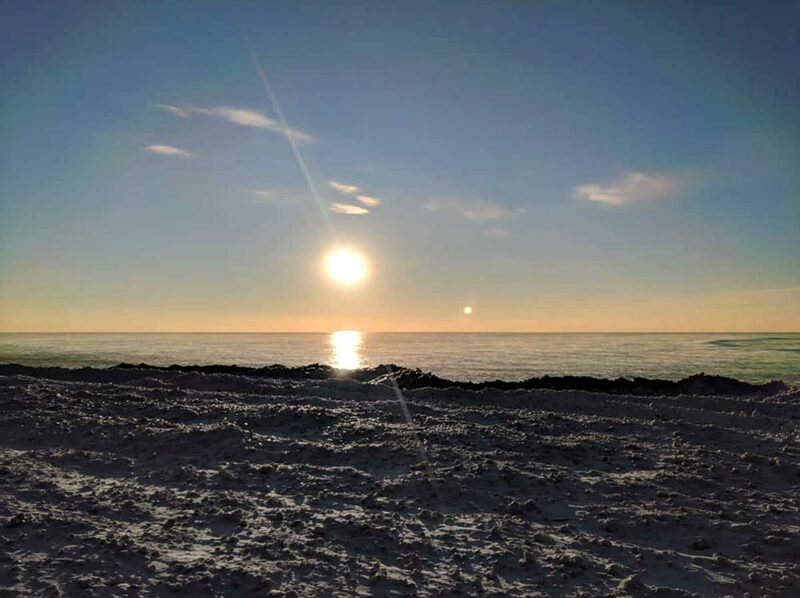 The off-grid cabin is located five minutes from the shorelines of Lake Huron, where the sunsets are ranked by National Geographic as among the “Top 10 Best in the World.” The cabin is also located a short (<10 minutes) drive to the town of Bayfield where you can get groceries and supplies. 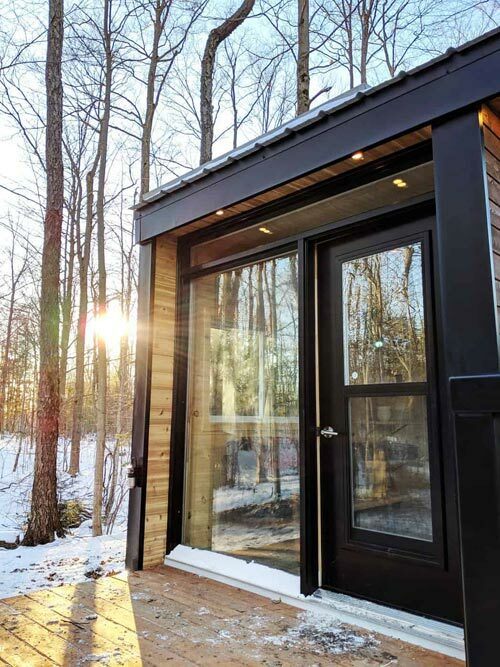 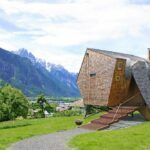 The Dashi is a rustic, minimalist cabin with an open design. 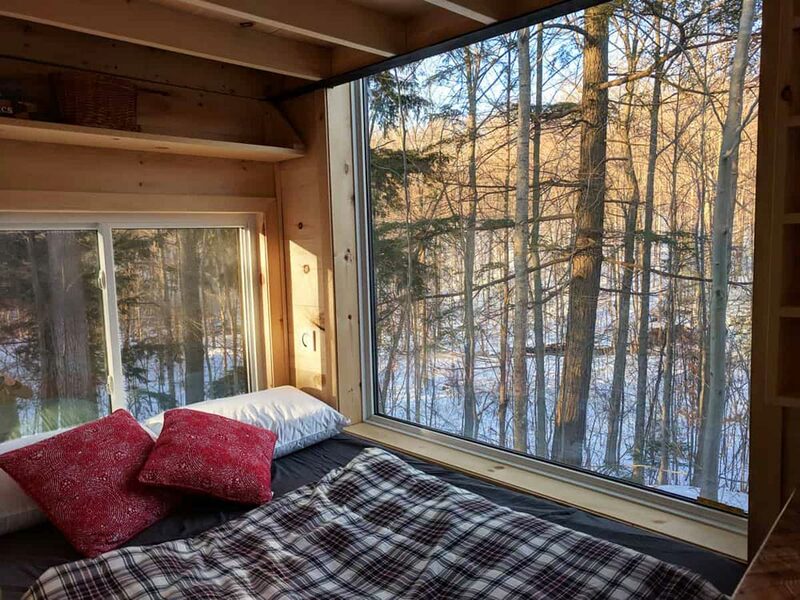 Large windows provide a picturesque view of the surrounding woods whether you are in the living room, kitchen, or bedroom area. 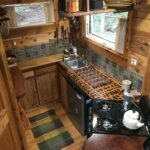 A gorgeous live edge kitchen counter is made from a solid piece of wood. 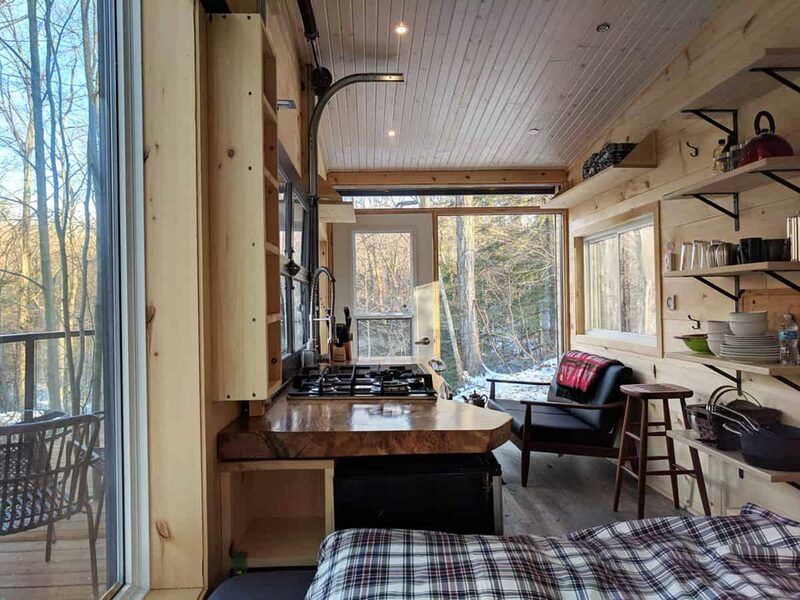 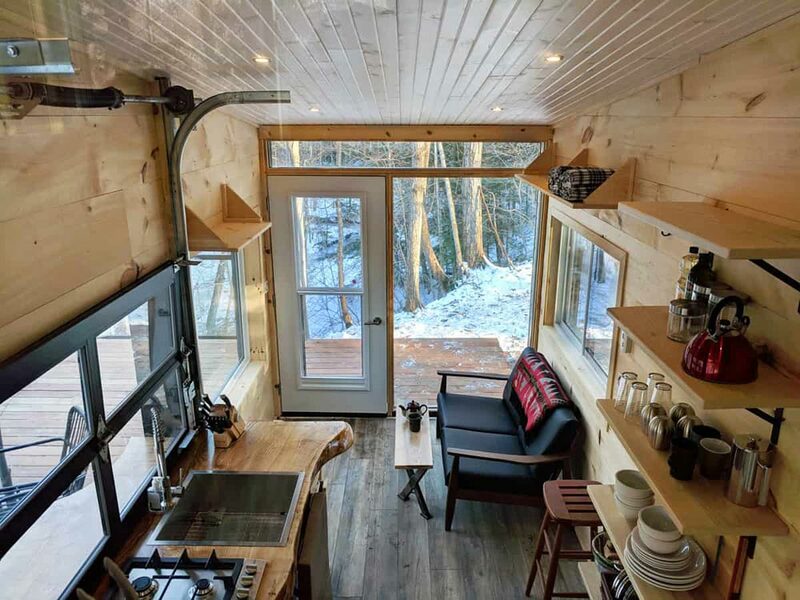 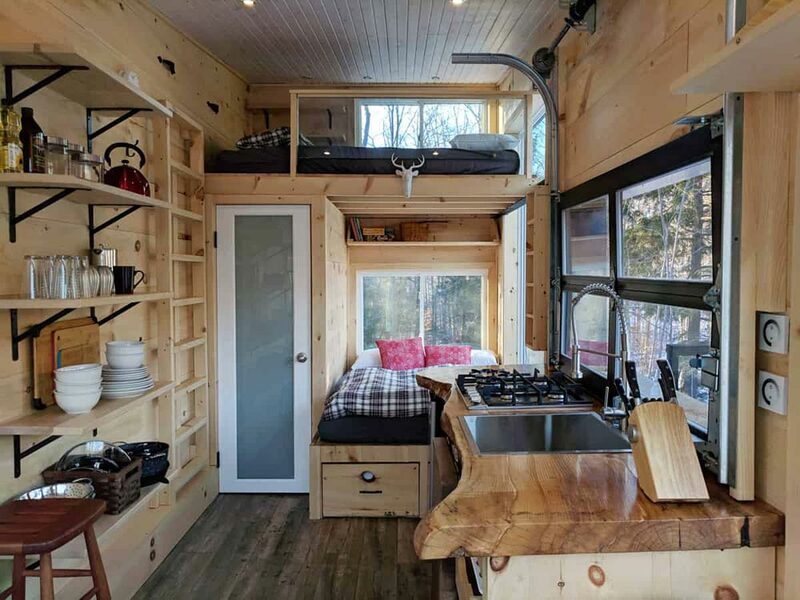 There is a garage-style kitchen window that rolls up and out of the way so you can serve food directly from the kitchen to the outdoor bar. 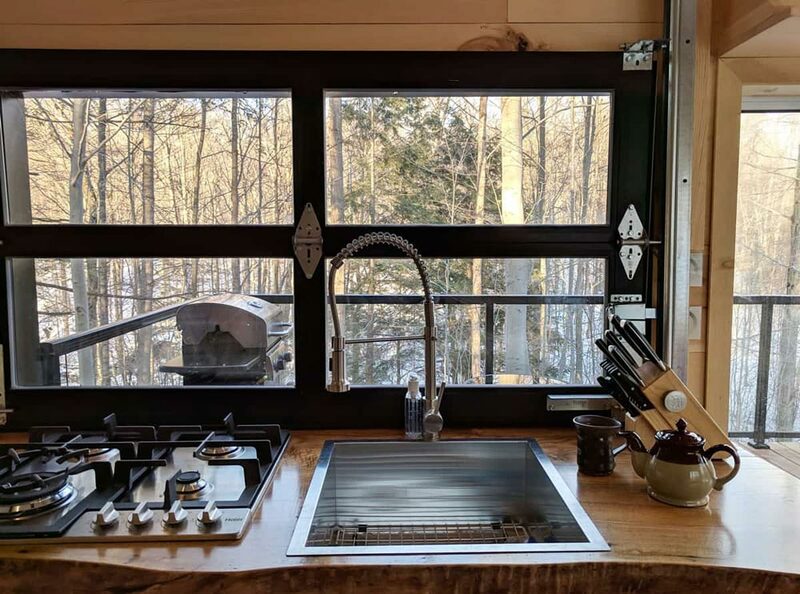 The kitchen has a four burner gas cooktop, refrigerator/freezer, and a variety of accessories and essentials. 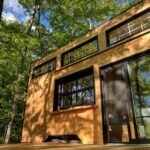 The main floor bed and bedroom loft provide accommodations for up to four people. 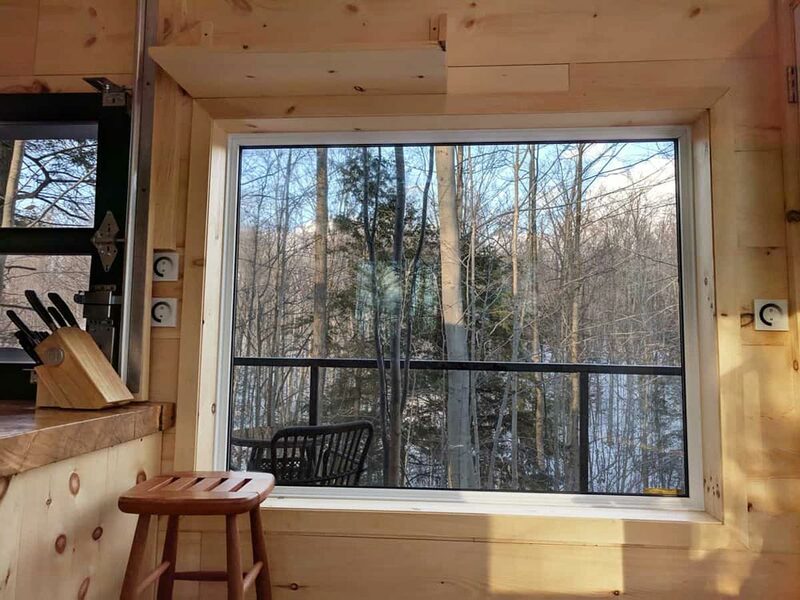 There is an outdoor shower and an indoor composting toilet. 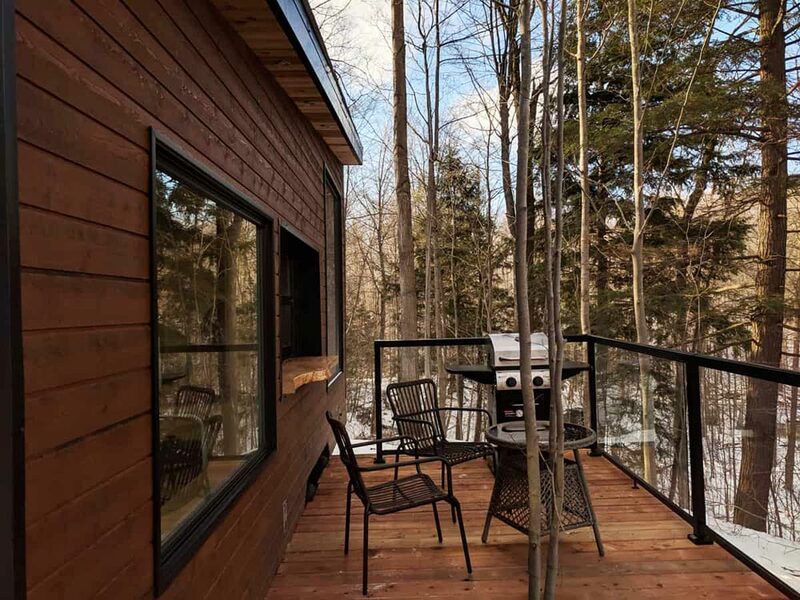 Cabinscape also provides a propane BBQ and outdoor chairs/table on the large deck. 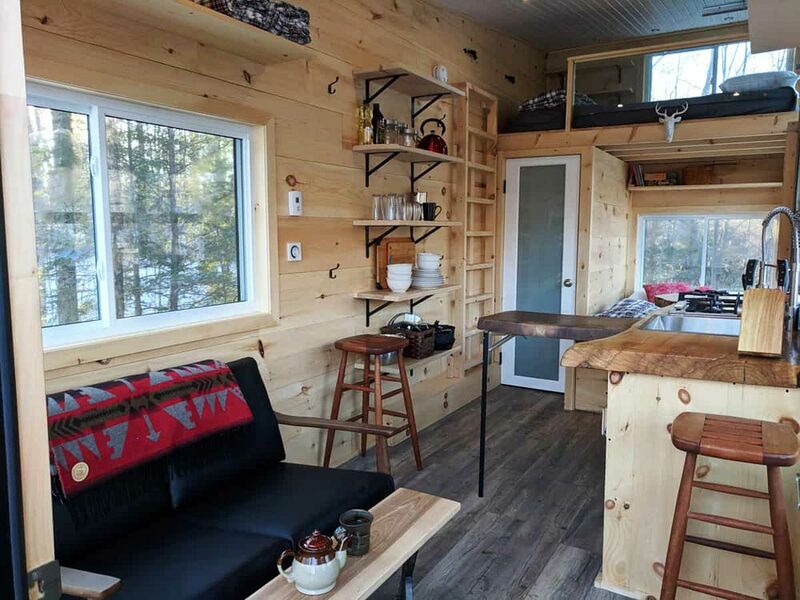 There is also a fire pit, board games, cards, and puzzles for entertainment. 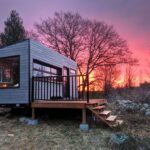 Rates start at $139 CAD per night. 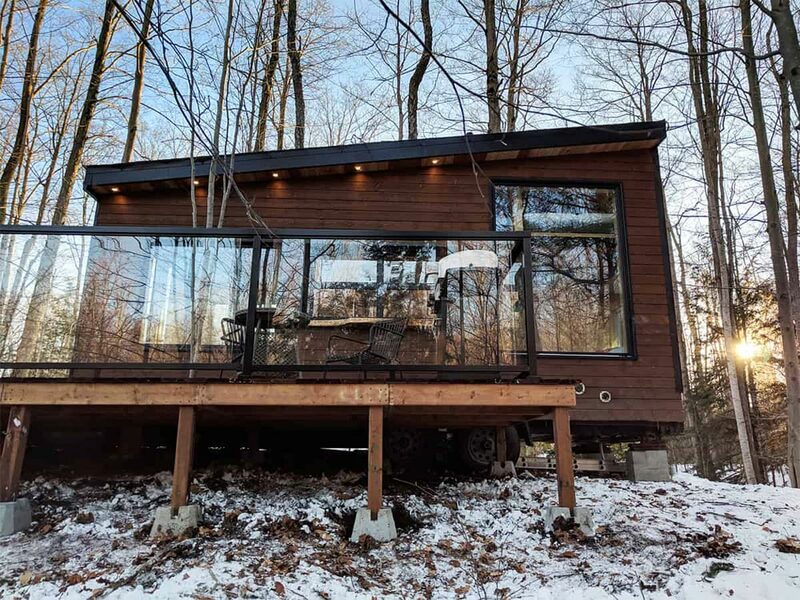 You can check availability and book through the Cabinscape website.